Looking to have a little fun with your desserts this Thanksgiving? This is not your typical pie, I was skeptical at first but after tasting it, I was hooked. It only has 3 ingredients and it doesn’t require baking! I normally serve the pie with homemade whipped cream but I wanted to try a dairy free option. I found myself eating the coconut whipped cream by the spoon full (I didn’t just admit that)… I also tried it over strawberry rhubarb pie and brownies (wow). I definitely prefer it over classic whipped cream. Try both these easy 3 ingredient recipes… I promise you won’t be disappointed. Enjoy! Preheat oven to 350 degrees. Mix together the graham cracker crumbs and melted butter. 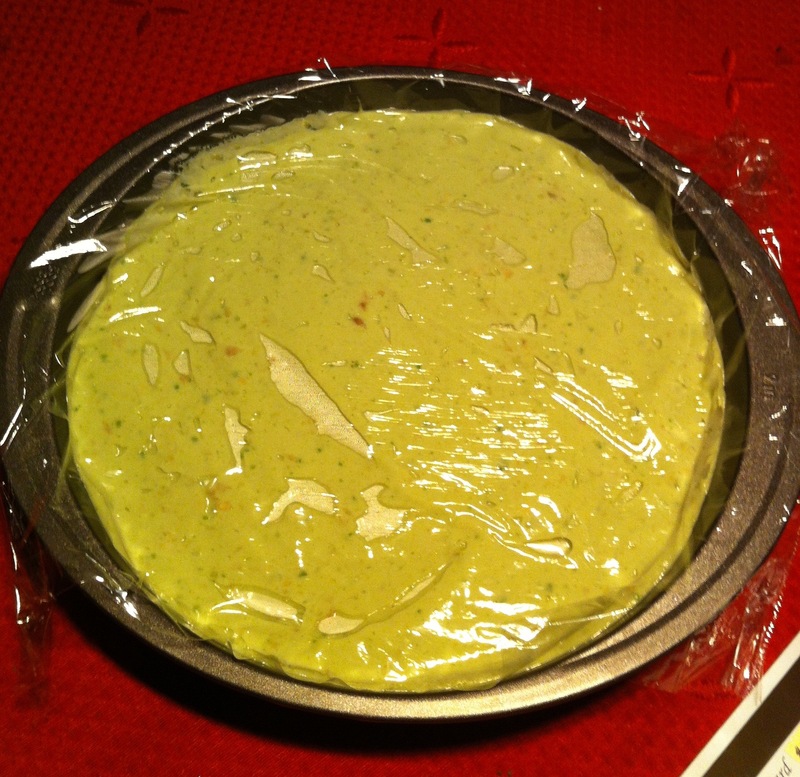 Press into the bottom and up the sides of a 9-inch pie pan. Bake in oven for about 8- 10 minutes, don’t allow it to get too brown. Let cool completely. 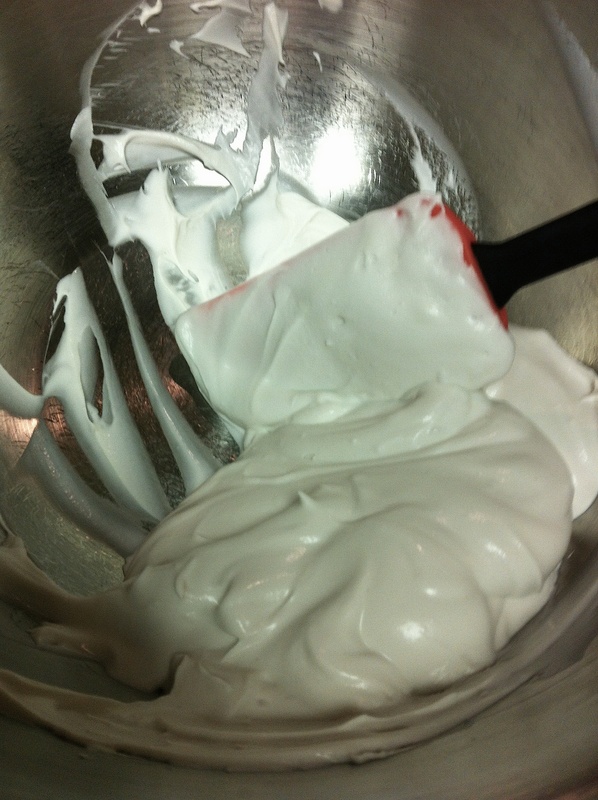 This whipped cream is so delicious and creamy, its hard to believe its dairy free! Its a great option if you’re lactose intolerant or vegan or if you love whipped toppings. Place can of coconut milk in the fridge over night (if you forget ahead of time put in freezer for 1 hour) put bowl and hand mixing blades in freezer for 10-15 minutes before whipping the coconut- this really helps with the process. I placed this whole bowl in the freezer for 15 minutes to make sure everything was super cold. Without shaking the can of coconut, open can and remove solid white coconut leaving the remaining coconut water at the bottom of the can. (you can discard the remaining coconut water- you do not want to mix the water with the coconut cream!) Mix cream in chilled bowl with chilled mixers until fluffy, about 2-3 minutes. Add powdered sugar and vanilla and mix until fully incorporated. 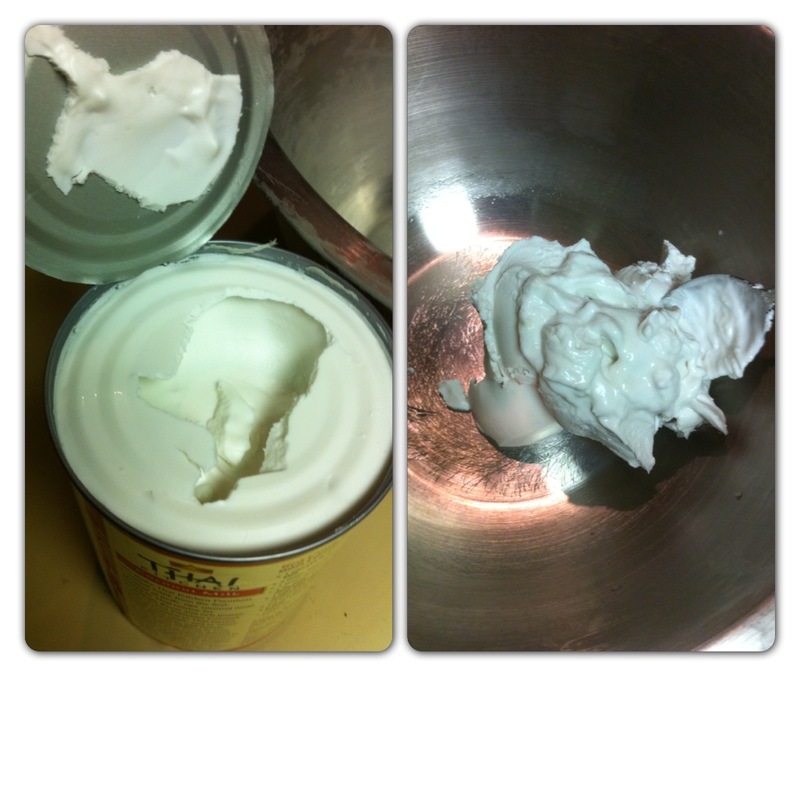 Coconut whipped cream does not break down the way dairy whipped cream does and can be stored in the fridge for a few days without separation. 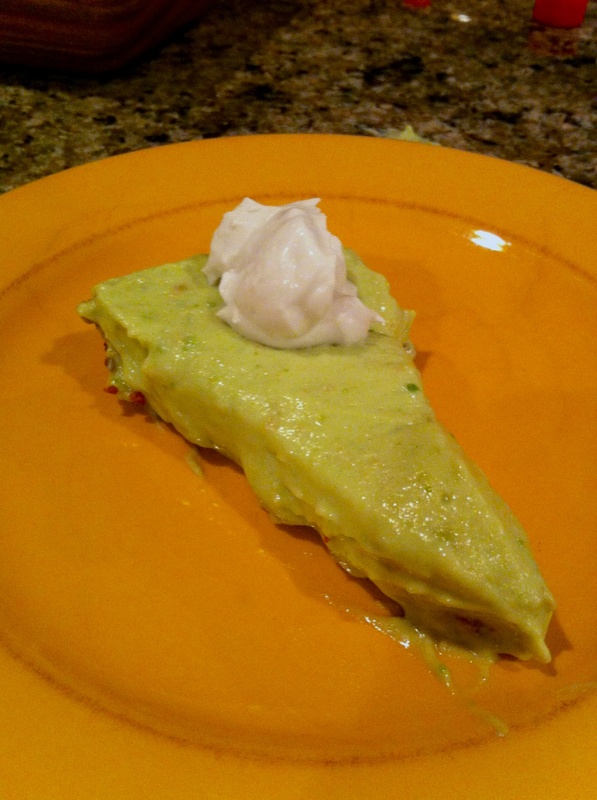 Place whipped cream over the avocado pie or your favorite dessert and ENJOY!!! 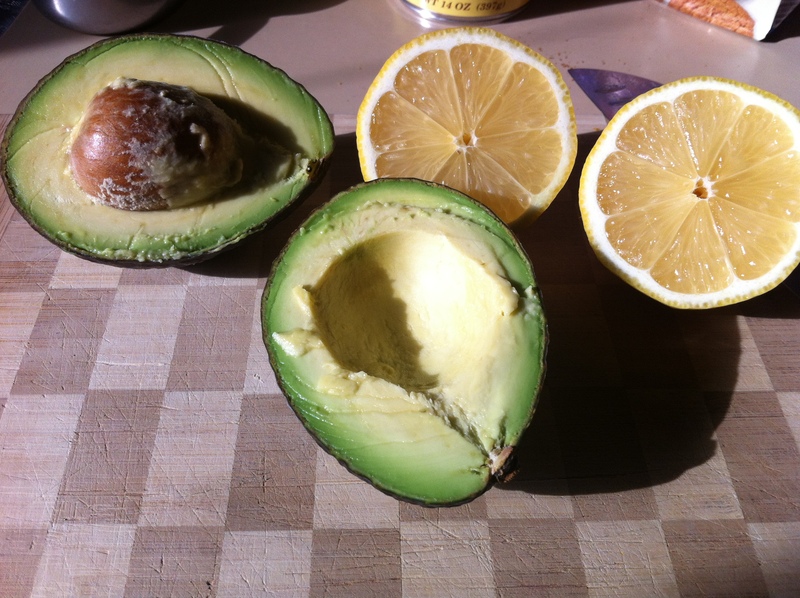 This entry was posted in Desserts, Recipes and tagged avocado, coconut, pie, whipped cream by skibootsinthekitchen. Bookmark the permalink. Loving your recipes! I might try the stuffing but no pecans Wah! I am not sure about the coconut whipped cream since I have never used this, do you use the water part or the coconut part? I use coconut oil in many things but this is new. Keep up the blog I’m going to pass it on! Susan, you will love this! You use the coconut cream to make the whipped cream- by putting it in the fridge the milk thickens which allows you to whip it! You do not want to mix the coconut water with this process or it will not work. 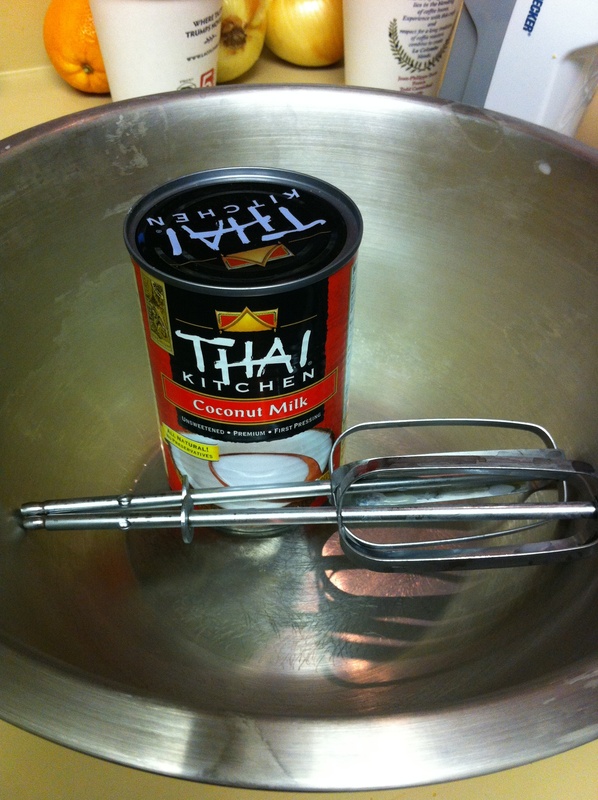 Make sure the coconut cream, mixing bowl and mixing blades are COLD! it helps a lot!